Secluded beaches, quiet coves and soaring headlands predominate this harbour, which is considered one of the world’s most beautiful. An exclusive boat hire Sydney is a once in a lifetime experience, some of our clients are blessed to do it many times per year and other guests do as it as they are simply passing through, either way the experience is never to be forgotten. Exclusive really does mean exclusive, during the hours that you have secured the vessel it is exclusively yours. You are able to tailor the vessel to your exact requirements, from the colour sheme on board to the brand of caviar served. Your wish is really our command. Our expert team will work through all these final details with you at no additional cost, from initial enquiry to completion of event. The only way to experience the magnificent city is by water and there is no better way than an exclusive boat hire Sydney. Whether you have an intimate group of 2 or a bigger group of 100+, we can accommodate up to 800 guest on Sydney harbour. 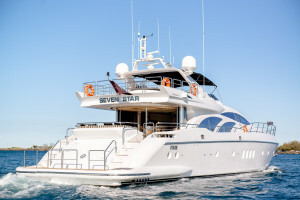 There is a large range of vessels in our fleet and of course there can be a significant price difference, however we always find a vessel to suit our clients overall budget. A question we get often in regards to your exclusive boat hire Sydney is “what can the clients do whilst on board”, of course there is the catering and beverages, not to mention the beautiful sights and attention to detail from our staff, but there are many activities guests can embark on during their exclusive boat hire, some of these include fishing, kayaking or swimming. Our captain will ensure to show you a side of the city that isn’t possible by land. 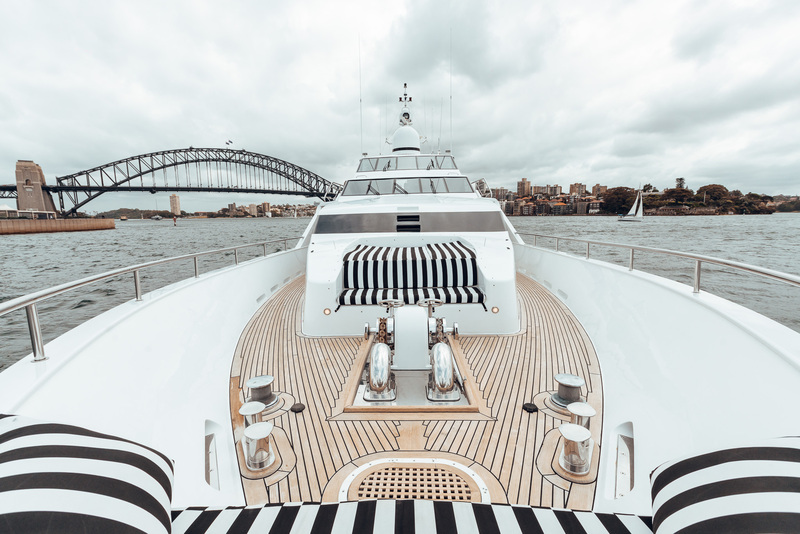 Luxe Charters prepares all itineraries bespoke and can accommodate for any special requests you may have during your exclusive boat hire Sydney. In the past we have had special requests which include but not limited to, personal masseuse, butler service, wine tastings & sommeliers, beauty services along with pigeon clay shooting and poker tables for the more adventurous ( generally our corporate charters). 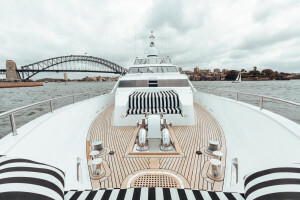 Luxe Charters will ensure to make your exclusive boat hire Sydney the most memorable and exceed all expectations. Our clients come back year after year and this is due to our high standards in exceptional vessels, catering and overall service we deliver.